Ms. Abayad counsels clients on intellectual property including technology-based litigation, preferoming strategic intellectual property and intellectual property audits for technology companies, and securing patent, copyright, and other intellectual property rights. and hardware, fiber optics, and the Internet and is experienced in preparing patent portfolios and supporting technology-based companies seeking to develop strategic patenting initiatives. to work with the National Weather Service (NOAA), Motorola Inc., Nielsen Media Research, and WoldSpan (Delta Airlines and Northwest Airlines). Ms. Abyad has eight years of technical experience in projects related to system design including protocols and systems; such as, BlueTooth, GSM, PCS, NEXRAD, and Channel One. seismic surveys for oil and petroleum exploration. Property Law and Telecommunications respectively. the Treasurer for the Intellectual Property Student Association. that started the University of Oklahoma Chapter. Diana Ngo Le founded DNL Law Associates in the fall of 2006 to help those around the Oklahoma City area in the fields of personal injury, family, civil and estate law. She is comitted to representing her clients with vigor and integrity. Mrs. Le graduated from the University of Oklahoma with a bachelor's degree in Journalism in 2003. Following her undergraduate work, Le continued on to the Oklahoma City University College of Law. During her tenor at Oklahoma City University, Mrs. Le founded the Vaught chapter of Phi Alpha Delta, the United State's largest co-ed, professional law fraternity. 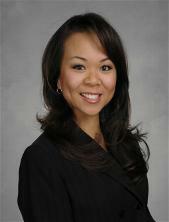 She graduated with her Juris Doctorate in 2006. In addition to founding the Vaught chapter of Phi Alpha Delta, Mrs. Le is also founder of East Meets West Dance Company. Created in 2000, it is a multicultural dance company designed to encompass Eastern and Western cultures and promote diversity through the art of dance. Mrs. Le retains memberships in the Oklahoma Bar Association, the Who's Who in America Registry, Oklahoma Lawyers for Children and the Oklahoma Pro Bono Panel. She is also an associate of the William J. Holloway Jr. American Inn of Court, member of Class IV of Youth Leadership Exchange of Leadership OKC and a member of Class III of LOYAL of Leadership OKC. Mrs. Le is married to Dr. David Q. Le, and has two children: London Minh Le, 2 and Preston Quang Le, 3 months. She also enjoys family, friends, golfing and traveling. 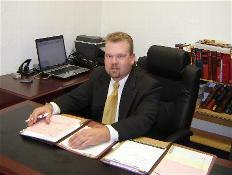 Phillip Scott Spratt currently practices in Oklahoma, where he covers several areas of the law, such as insurance dispute, criminal matter, family issue, and tax/business law. Having worked in the Big 4 accounting industry and the Oklahoma County District Attorney's office, Mr. Spratt uses the knowledge and experience to better serve his clients in legal matters ranging from simple criminal matters to complex business arrangement. Before receiving his Juris Doctorate from Oklahoma City University School of Law, Scott graduated from the University of Oklahoma with a Masters of Tax and a Bachelor of Accounting. Also, Scott worked as a tax accountant in Tulsa for one of the world's largest tax firms, helping businesses and individuals with their tax issues. Scott grew up around the Purcell/Norman area and currently lives in Oklahoma City.